On-the-job accidents can have devastating consequences, especially for workers whose injuries prevent them from returning to work temporarily or indefinitely. In addition to physical harm, workplace injuries in Georgia can result in costly medical bills and a loss of critical income due to time off work. If you or a loved one has suffered from a workplace injury in Georgia, consult our workers’ compensation attorneys at Rechtman & Spevak today. Our law firm is located in Atlanta, and our lawyers can help victims of on-the-job injuries pursue the financial compensation they deserve. In Georgia, a worker is entitled to receive medical treatment benefits for his or her work-related injury for the remainder of his or her life, subject to some exceptions. These exceptions include, but are not limited to, a settlement of the workers’ compensation claim; and a subsequent non-work related aggravation of the work injury. Even after reaching maximum medical improvement in GA, an injured worker is entitled to continued medical treatment provided by his or her employer’s workers’ compensation insurance company, if it is reasonably required to prevent the injury from worsening. The term “maximum medical improvement” means that you have reached a point in treatment where your condition will remain the same and is not likely to improve. In addition to receiving medical treatment for workplace injuries, injured workers in Atlanta are also entitled to reimbursement for all expenses pertaining to the injury, including travel to and from the doctor’s office and prescription medications. Total disability is defined as a complete inability to work, whether the inability is temporary or permanent. Benefits for total disability in Georgia are payable for a maximum of 400 weeks at the standard workers’ compensation rate of sixty-six and 2/3 percent of the workers’ average weekly income. 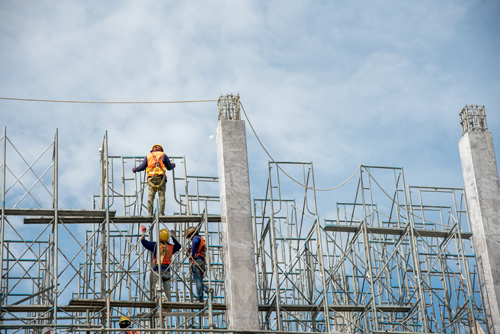 If the worker is found to be totally and permanently disabled because of a workplace injury, such as in instances of quadriplegia, benefits will be paid for life. Under Georgia workers’ compensation laws, death benefits may be available to the family members of workers who are killed in on-the-job accidents. Fatalities associated with workplace injuries can occur at the time of the accident, or may occur later as a result of the accident. In some cases, death benefits may be available even if the on-the-job injury wasn’t the sole cause of the worker’s death. If the workplace injury triggered or aggravated a disease or condition that contributed to the worker’s death, the workers’ compensation claim may be compensable. If a worker is killed in a workplace accident, the employer is required to pay up to $7,500 in burial expenses. The spouse and/or dependents of the deceased worker may also be entitled to receive up to 400 weeks of weekly benefit checks equal to the amount the employee would have received if he or she had survived, but was totally disabled. Navigating Georgia workers’ compensation laws can be extremely difficult, as there are a number of different factors to take into consideration when calculating available medical, disability and death benefits. If you were injured in an on-the-job accident in Atlanta, or if you lost a loved one in such an accident, contact our skilled workers’ compensation lawyers at Rechtman & Spevak by calling 888-522-7798. Our attorneys have years of experience helping injured workers pursue the benefits they deserve, and can help you and your family protect your legal rights following an on-the-job injury in Atlanta, Marietta, or in another part of Georgia. How Much Does It Cost to Hire a Workers' Comp Lawyer?